NEW BRITAIN - The Woman’s Club of New Britain is helping to keep the Human Resources Agency of New Britain’s food pantry running. The Civic Committee of the club will donate $1,000 to the HRA’s New Britain Food and Resource Center Foodshare account on Dec. 7. “We are honored to be this year’s recipient of this very generous donation from the Woman’s Club of New Britain,” HRA Executive Director Rocco Tricarico said. Tricarico said the chairwoman of the Civic Committee, Barbara Kirejczyk, was instrumental in helping to open the pantry in 2010. “HRA is proud to serve such a truly compassionate community,” Tricarico said. Just last week, the food pantry’s impact on the community was evident as the HRA handed out more than 400 turkeys to residents in need from its Osgood Avenue facility. While Foodshare supplies most of the food for the pantry, the pantry needs $10,000 to $15,000 in funding annually to operate. The monetary donations pay for staff, utilities, maintenance and other things needed to keep the pantry open. Earlier this year, the HRA received funding from the American Savings Foundation, United Way of Central and Northeastern Connecticut, the Community Foundation of Greater New Britain and a slew of private donors to help keep the pantry operating through December 2018. 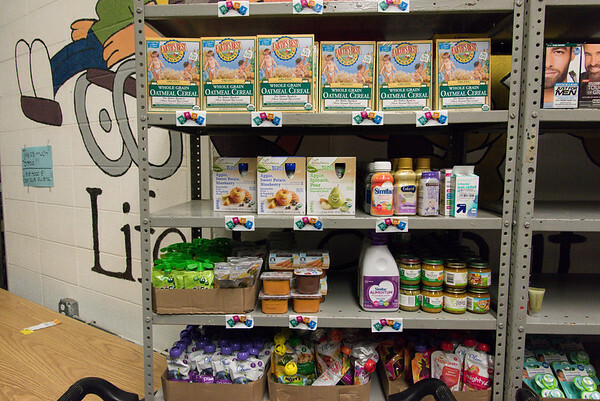 In November, Northend Elementary School collected nearly 1,000 nonperishable food items to donate, another example of how the community can help the pantry keep its doors open. Posted in New Britain Herald, New Britain on Sunday, 3 December 2017 21:20. Updated: Sunday, 3 December 2017 21:23.